In this featured article, each team has a plan heading into the trade deadline. We look at what the sellers plan is based on the players they will want to unload by next Monday at the trade deadline. As far as the Vancouver Canucks, their plan is a gradual reconstruction. I wouldn’t say as drastic as the Toronto Maple Leafs but they are definitely heading in a different direction. 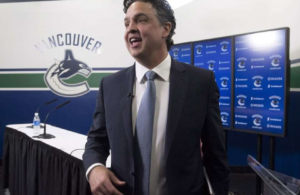 Vancouver’s general manager Jim Benning has shown his cards early and he has made it clear the Canucks are getting younger, faster and ready to hit. That’s the Western Conference way of winning and the Canucks are no different than the other Western Conference teams contending. The youth movement was obvious when veteran forwards Chris Higgins and Brandon Prust were clearly demoted and told to wait for a pending trade. Next on his list are Radim Vrbata, Dan Hamhuis (Holds a NTC) and Alex Burrows. Right now, the untouchables remain the twins with both Sedins likely to end their career in Vancouver. Not the season most of us expected. After a nine victory streak, the Canadiens found themselves in a rut that made them the worst team in the NHL since December 1st. The assessment is not complicated. Marc Bergevin needs to bring offense and not with players like Tomas Fleischman, P-A Parenteau, Alexander Semin or Dale Weise. 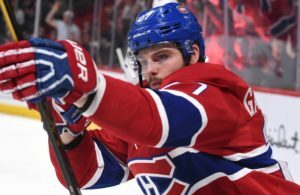 Bergevin has stated earlier in the season that making big trades was very difficult because teams hold on to their star players. They sign them long term, he says. He also mentioned the salary cap factor which doesn’t make it easy to trade players. To give salary means to take on salary in many cases. Montreal’s plan will definitely have an offense flavor. Their plan for the trade deadline will be to unload pending unrestricted free agents like Dale Weise, Tomas Fleischmann. Trading Tom Gilbert is now out of the question since he will undergo season ending injury to his left knee. The team will address the major pieces in the off-season. Players like Alexei Emelin, Lars Eller, Andrei Markov and Tomas Pleckanec could find themselves playing elsewhere next season. 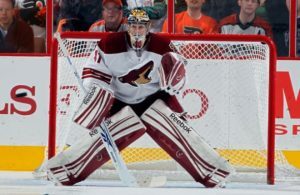 In the case of the Arizona Coyotes, the future looks bright. Head coach Dave Tippet has been an remarkable job keeping the young Coyotes focused and getting them hungry for more. They have players like Anthony Duclair and Max Domi and let’s not forget Oliver Ekman-Larsson on defense. They will need to move forward Mikkel Boedker. Boedker is young and will be an unrestricted free agent this summer. He will represent a nice catch but the salary could be in the vicinity of $6M. Shane Doan is not expected to move to a contending team. If there is a Canadian team that could slip in the playoffs from the back door, it is the Ottawa Senators. They are playing well and not far from a playoff spot. They already did a gutsy move by acquiring Dion Phaneuf from Ontario rival, Toronto Maple Leafs. Even Phaneuf is playing much better after a slow start in the red, black and gold. They were to unload players they wanted to get rid of in Milan Michalek and Jared Cowen. It is believed they are in on Jonathan Drouin making one of the best offers to Steve Yzerman for the Lightning blue chip prospect. The Senators believe they can do it again this season and we say: Why not!! The Flyers’ chances to get in the post-season are getting slimmer everyday but the future is bright for the Flyers. Ron Hextall has done a good job sending high-salaried players like Vincent Lecavalier and Luke Schenn to the Kings. He has a rookie defenseman aiming to get a point in his sixteenth game tonight in Shayne Gostisbehere. 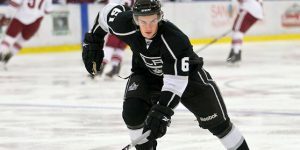 In addition, he has high prospects on defense like Ivan Provorov and giant defenseman Sam Morin who will play within a year or two in the NHL. Hextall is not projected to be very active at the trade deadline but will want to unload another high salary in Mark Streit or Nick Schultz. His offense is fairly solid with Claude Giroux, Jakub Voráček, Ken Simmonds, Braydon Schenn and Sean Couturier. The Hurricanes are not far from a playoff spot and could be buyers at the trade deadline. The trade rumors surrounding captain Eric Staal are still existing and became more solid when Staal declared that if he was approached to go to a contender, he would have to consider his options. 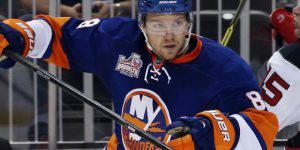 Some rumors as of tonight have placed him possibly with the New York Rangers. Pierre Lebrun declared at the TSN NHL Insider Trading, a Staal move to New York would be a good fit for the veteran centre. He would fill a need on their second line for offense and play with his other brother Mark. 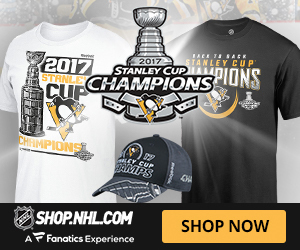 The situation with Carolina is complex because they could end up watching the parade go by and not qualify for the playoffs. 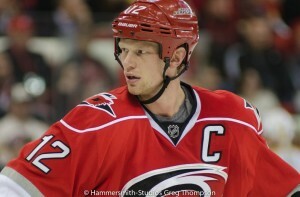 They could also risk losing Staal to free agency if he stays in Carolina for the remainder of the season. The best scenario would be for Staal to take home team discount and stay with the team, he started his career with. Add the possibility of unloading veteran Ron Hainsey to a team needing a puck moving defenseman. 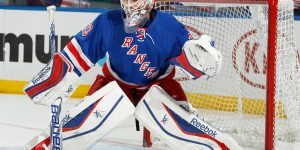 Staal traded to New York Rangers! San Jose Sharks veteran on the block? 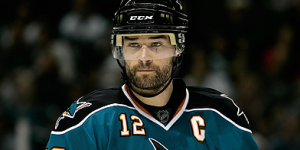 ← Previous Story San Jose Sharks veteran on the block? Next Story → Staal traded to New York Rangers!